Fuel duty is to be frozen for the ninth year in a row, the prime minister is to announce – saying the government is “on the side of “hard-working families”. A car is a necessity “not a luxury” for millions of people, she will add. Last month, Chancellor Philip Hammond said the policy saved drivers money, but would cost the Treasury £38bn if it continued for another three years. The Green Party has criticised previous freezes, saying the extra money could be spent on public transport, walking, and cycling. But AA president Edmund King said the freeze would bring relief to millions of UK drivers and businesses. “The high pump prices are already forcing many families to cut back on journeys, household expenditure or both,” he said. The average UK petrol price is currently 130.6p per litre, while diesel is 134.5p. In the past 12 months, average petrol prices have gone up by 11.5p a litre, with diesel up by 14p a litre. According to the RAC Foundation, 61% of the price of petrol and nearly 60% of the price of diesel is taxation. Mrs May will close the Conservative conference by declaring Britain’s post-Brexit future is “full of promise” and vowing the “best days lie ahead of us”. 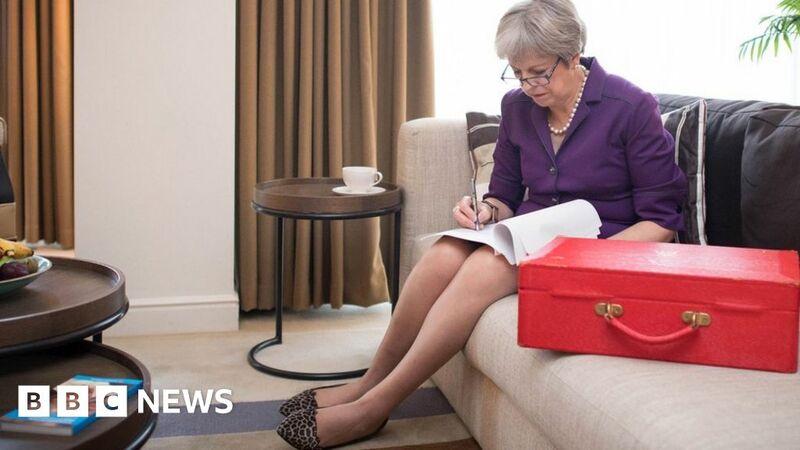 And, in confirming the fuel duty freeze, she will say the difference having a “little bit of money left to put away at the end of the month” cannot be “measured in pounds and pence”. “It’s the joy and precious memories that a week’s holiday with the family brings,” she will say. Mr Hammond said the policy had come “at a significant cost to the Exchequer”. “But the high oil price and the near-record pump price of petrol and diesel are also imposing a significant burden on motorists,” he added.